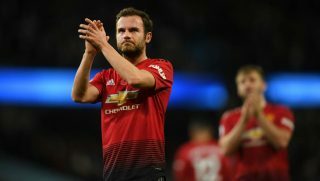 Juan Mata’s contract is set to expire in the summer and talkSPORT host Adrian Durham believes the Manchester United midfielder will leave for Arsenal. 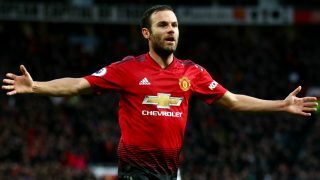 The Spaniard joined United in 2014 after a move from Chelsea but has never cemented a place in Jose Mourinho’s side since the Portuguese tactician took over in 2016. 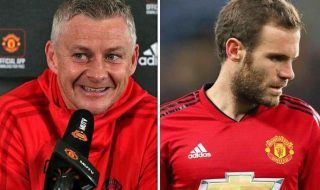 However, Mourinho still calls upon Mata to provide a creative spark in his team, though he clearly prefers Jesse Lingard due to the England international’s movement and work ethic. That’s not to say Mata is lazy or doesn’t work hard, it’s simply a matter of two different players with differing attributes and Mourinho tends to opt for Lingard more often. Mata scored a peach of a free-kick in Wednesday night’s 2-1 win over Italian giants Juventus. He was brought on as an influential substitute and made the Old Lady pay at the Allianz Arena. 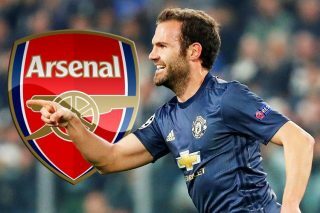 And now, according to Durham, Mata will leave for the Emirates on a Bosman once his contract expires in the summer. The Drivetime host said: “I thought we were going to do a Juan Mata love-in right. 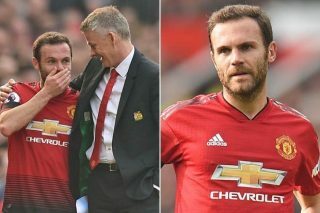 “I thought we were doing an appreciation hour for Juan Mata. After I said this, just a couple of minutes ago, just had a message going; ‘He’s going to Arsenal on a free’. “We can’t do this anymore, if he’s going to Arsenal. We all love him now, but who is going to love him when he goes to Arsenal? Emery managed Mata during his time at Valencia, before the playmaker moved to Chelsea in 2012 where he went on to win the UEFA Champions League. Durham was later asked by Jason Cundy how reliable his sources were, who passed on this alleged information about Mata. He replied in a bullish tone: “This is breaking news, Juan Mata is going to Arsenal. “This is what I have heard, it is not official. My sources close to the club have said he is going to Arsenal on a free. 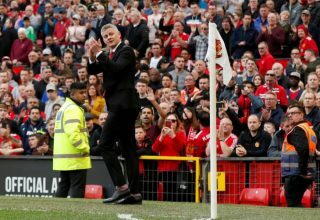 It’s crazy that during a week we comeback in dramatic fashion and beat Juventus in the Champions League, there are reports suggesting United players would rather be elsewhere. Obviously, you can’t believe everything you read but we’ll just have to sit back and watch this space. How much does it Mata that Juan might be off?